A freehold good class bungalow (GCB) in the exclusive Dalvey Estate GCB area will be put up for auction by owner’s sale at the end of this month, said sole marketing agent Edmund Tie & Company. Located within a quiet cul-de-sac, the 21/2-storey property sits on 15,211 sq ft of land and has a floor area of 12,500 sq ft. The indicative price of $30 million translates to about $1,972 psf on the land area. It is currently being rented out at $26,000 per month till August next year. With 6+1 bedrooms and a basement, it is ideal for big families or multi-generational living, said the property consultancy. Enhancement works were completed in 2011 at an estimated cost of $2 million. There are also a number of luxury facilities, including two swimming pools, two gardens, an air-conditioned gazebo, and a wine cellar with space for over 1,900 bottles. The estate is close to the Botanic Gardens, established schools, and shopping malls along Orchard Road. “As GCBs of such specifications are rarely available on the market, we anticipate a significant level of interest from investors or potential occupiers,” said Joy Tan, Edmund Tie & Company’s Head of Auction. “With a short lease currently in place, the owner can look forward to rental income in the short term, with the flexibility of extending it or for their own occupation when the lease expires,” she added. 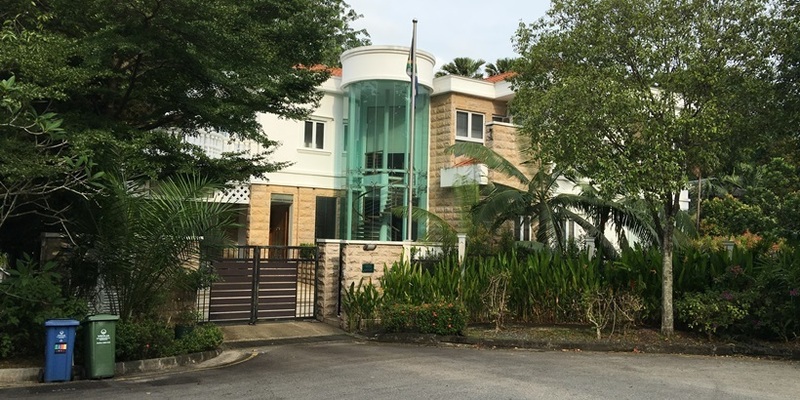 Edmund Tie & Company’s auction at The Amara Hotel on 31 August will showcase a total of 15 residential and commercial properties, 10 of which were put up by the owners, while the rest are through mortgagee sale by banks. Among the auction listings are five high-end condominiums, three of which are in Sentosa Cove and the other two at Reflections at Keppel Bay.